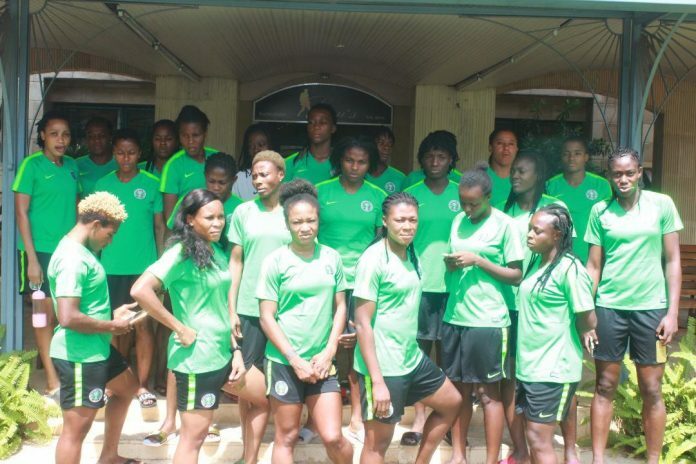 The Nigeria female national team, Super Falcons are billed to fly out of the country on Monday, as they head out to China for a build-up competition, ahead of this year’s FIFA Women’s World Cup in France. Players, coaches and officials of the nine time African champions were at China’s embassy in Abuja on Tuesday for visa processing, as they prepare to storm the invitational competition. The Falcons will face hosts China, Romania and Korea Republic in the four-day competition, which also has some other countries set to turn up for healthy rivalry to set the 2019 programme in motion. The trip will come a week after the Falcons returned to camp began camping preparations ahead of this month’s four-nation invitational women’s tournament billed for China. At the competition in Meizhou, in China’s Eastern Guangdong Province, the nine time African champions will face the hosts first on January 17, then tango the winner or loser between Romania and South Korea. Victory against China will see the Falcons in the final on January 20, but defeat would mean making due with the consolation match before it. Apart from Romania, the other three teams will be at the 2019 Women’s World Cup starting June 7, with the Koreans, Norwegians and French in Nigeria’s group.